It is said that a human soul weighs about 21 grams. 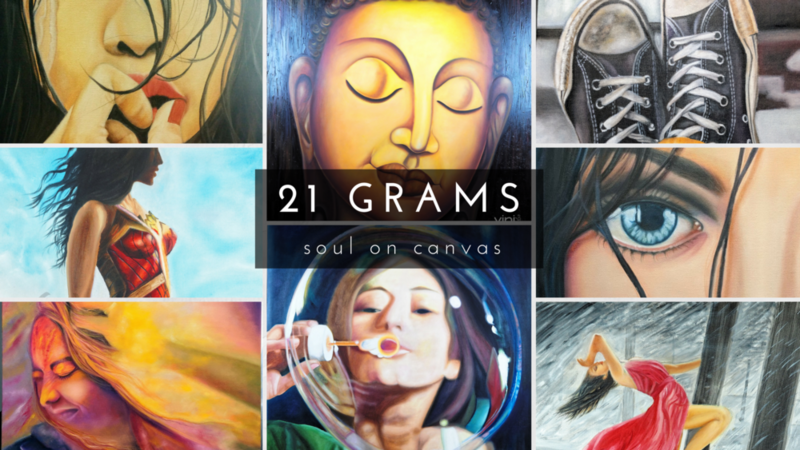 This exhibition showcases 21 canvases - each where Vinita has put her heart, mind and soul onto the canvas. Join Vinita with friends and family on Sunday, March 18, from 3-5 pm, at Blawenburg Cafe & Catering Co. for the opening reception of the exhibition. Light refreshments will be served.